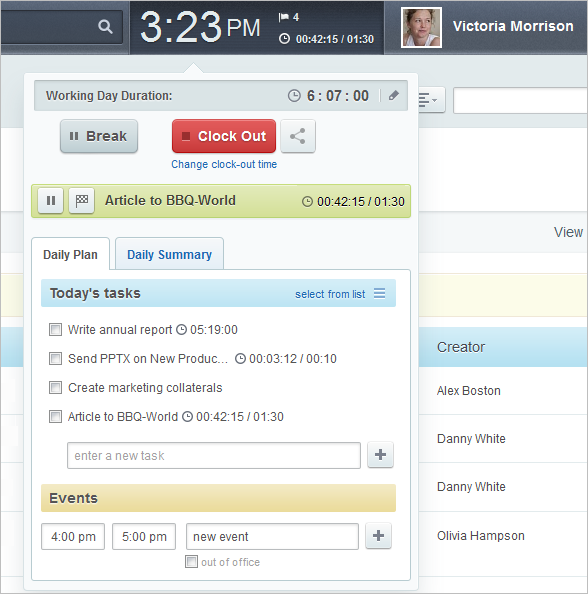 Bitrix24’s cloud service now has a great new tool to track time spent on tasks. You can estimate how much time should be spent on a task and after its completion, compare that to how much time has actually been spent. 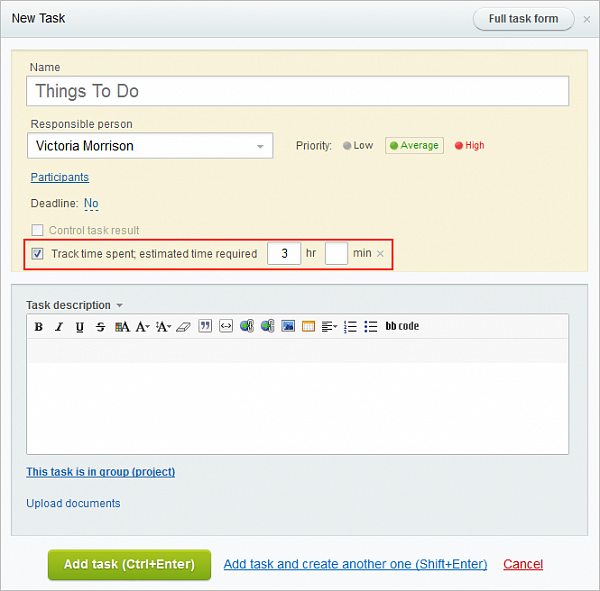 When creating or editing a task, click the “Track time spent” checkbox and put in an estimated amount of time for the task. 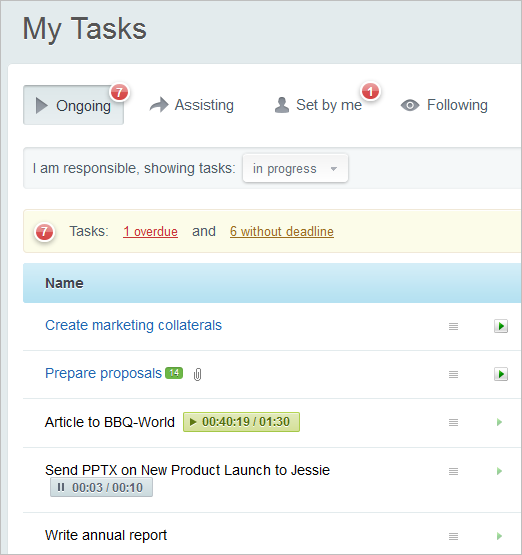 Note that if time tracking is engaged, the task will automatically show up in the daily planner, so that it can be easily accessed and be marked as started, stopped, or completed. 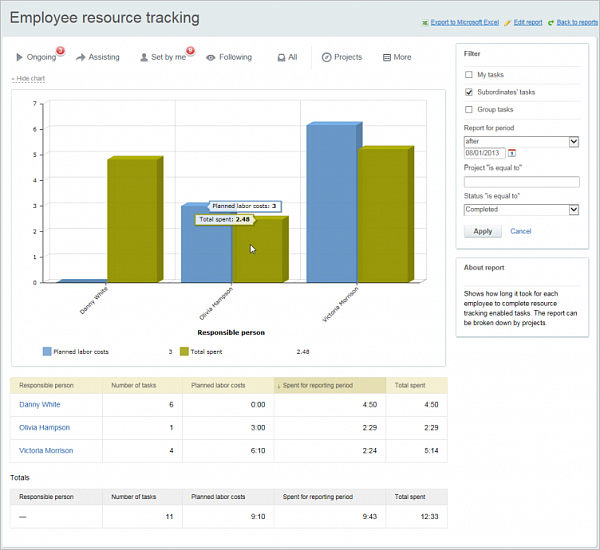 The new reports for time tracking includeTask Resource Tracking and Employee Resource Tracking. Bitrix24 Integration with ISL Online is Out!